The Upcoming War Against Iran: To Americans - Israel NOT Worth Destruction Of US! The psychos in the criminal state of Israel, along with their useful idiots and slaves in the United States government, are now working overtime in getting their newest war, against Iran, off and running sooner than later. Right now, however, they are planning a small detour to destroy and enslave Syria much like they did to Libya. But everyone knows that once Syria is eliminated, the next domino to fall will definitely be Iran. But is a war with Iran worth it to the United States? With all the false rhetoric that the Jewish controlled media has been spinning in their vain attempts to brainwash the American public into supporting a war against Iran, there are many facts about that upcoming war that needs to be pondered... One is definitely the effect on the petroleum driven world economies that would suffer greatly by escalating fuel costs due to the closure of the Persian Gulf due to a war with Iran. The ripple effect of such a closure could be total world economic collapse. So the question has to become: Is the undying support by the slaves in the US Government to their masters in Israel worth declaring war against Iran? TEHRAN (FNA)- Is Israel worth the destruction of the American nation? This is the main question many Americans are asking themselves these days while the US is in the midst of a confrontation with Iran, Syria and many other Muslim nations. An Israeli official recently said that Zionists' Prime Minister Benjamin Netanyahu is trying to persuade his Cabinet to authorize a military strike against Iran's nuclear facilities - a discussion that comes as Israel successfully tests a missile believed capable of carrying a nuclear warhead to Iran. Pakistan, an Islamic country with its own eschatologies, is estimated to have around 100 nuclear warheads. Israel, or better to say the Occupied Palestine a country the size of New Jersey, has, by some estimates, at least 200 nuclear warheads and perhaps as many as 400, some of which are certainly hydrogen (thermonuclear) bombs. Everyone in the US should read Charles Pellegrino's excellent book "The Last Train from Hiroshima," to understand the immediate devastation wrought by nuclear bombs about 1/5000th the size of the 50 megaton (that's 50 million tons of TNT) thermonuclear "Tsar Bomba" that the Soviet Union detonated over extreme north central Russia on Oct. 30, 1961. That explosion broke windows 1,000 miles away in Finland, flattened everything within 50 miles, and blinded anyone looking at the explosion within 400 miles. Israel no doubt has weapons of, or approaching, this size. So does China, and Russia, and the US. "Is Israel worth risking the destruction of our country and world civilization," Elgin Baylor asks in a commentary. "Armageddon," after all, is not written in stone, and was most probably inspired in the Bible's book of Revelation by the destruction of Pompeii in 79. Shall we be destroyed because of ancient fatalist political mind control bolstered by absurd threats of eternal damnation? Armageddon is fantasy, not fact. Not yet anyway," Baylor adds. "The aftermath of nuclear war can be survived. Witness Hiroshima today. It's the explosions that cannot be survived. A 50-megaton thermonuclear warhead exploded at 2,000 feet would level Philadelphia and everything around it for dozens of miles, blinding everyone from Boston to Washington, D.C., who saw the explosion," Baylor says. "China has an extensive civil defense system capable of sheltering millions for up to a year or more. The USA does not have any similar civil defense shelters, except for military and other power elite," Baylor concludes. Iran does not have a nuclear weapon, but its allies have. Take Pakistan for example, a staunch Muslim ally of Tehran, which is these days growingly hostile to the US after the US-led NATO forces killed hundreds of Pakistani citizens for no crime, including 28 soldiers this weekend. Americans should realize what they are stepping into! NTS Notes: Yes, most Americans are totally unaware of the devastating consequences of their criminal government's undying devotion to the criminal state of Israel. The spectre of a global nuclear war as a result of an Israeli attack on Iran is absolutely real. But the enslavement of the US Government by the criminal state of Israel is absolutely complete. The Israeli sock puppets in the American government are rushing headlong into a conflict to support their masters in Israel and they seem not to care of the consequences. 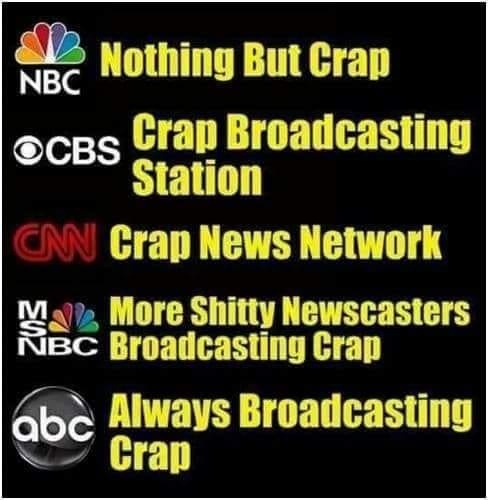 This is why it is important that everyone get the real news from alternative news sites, understand what is at stake, and get the message out to everyone else possible. It is time to awaken the American public about the great and grave dangers they now face from their insane criminal government in Washington, and put an end to their madness! A Child's Remains And Other Bones Found At Former Canadian Indian School! Noor, a personal friend of mine who writes Snippits and Snappits (www.snippits-and-slappits.blogspot.com) brought to my attention some time ago the mounting evidence that the British Royal family, including the Queen of England herself along with many others, were involved in a massive pedophilia ring here in Canada, that involved the abduction and murder of aboriginal children at several Aboriginal schools on Vancouver Island, and elsewhere across Canada. A screen shot of a bone fragment found at Mohawk Nation archaeological dig. BRANTFORD, Ontario -- Archaeological surveys and test digs authorized by we, elders of the Kanien'keha:ka Nation, have been conducted at the former Mohawk Institute Indian residential school since October 1. This past week, while on the grounds of the school, our researchers along with Kevin Annett -Rawennatshani, who acts with our approval, have unearthed what has been described as human remains. One bone among sixteen uncovered has been identified, through preliminary visual examination by a competent archaeologist, as that of a young child. This bone sample is described by the same archaeologist as “definitely human." We appeal to other nations to send archaeological and forensic specialists and international observers and peacekeepers to our territory to operate under our Mohawk jurisdiction, to assist with our inquiry and protect the burial sites until the remains can be accorded a proper burial according to our diverse traditions. Until these experts arrive to conduct a professional archeological excavation of these graves, we are temporarily suspending our excavations. For more information online go to www.itccs.org. I will be awaiting the results of the forensic tests for sure, and will be presenting them here once they come to light. I guarantee the spin doctors here in Canada and in the United Kingdom will be working overtime now in trying to distance the British Crown from this newest evidence. But the truth must be told, and if the Queen is found guilty of being a part of this murder of innocent children, and brought up on charges, then there will be hell to pay! More REAL History Revealed: Did Adolf Hitler Save Europe From Communism? I have always said that our so called "recorded" History that is constantly fed to our children in our disastrous education system is nothing more than a pack of lies. More and more, thanks to facts coming forward through the Internet, we are finding that what we have been told, and taught in our school systems is nothing more than lies and falsehoods. I personally have made it my job to present factual history here for everyone to see for themselves. By 1941, the international order had turned against Adolf Hitler. Germany's Blitzkrieg had shocked the ruling elite as first Poland then the rest of Europe came under Nazi control. 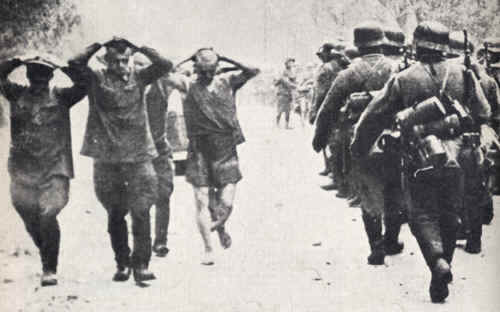 Britain was helpless to stop Hitler, who was already making preparations for a pre-emptive attack on the Soviet Union. Hitler was getting out of hand. German inventiveness and efficiency as well as financial support from western financiers -- had brought Hitler's Germany to the zenith of its power. NTS Notes: This article fully vindicates, and backs up all of my comments and statements, in previous articles where I stated that Hitler launched a preemptive strike against Soviet Russia on June 22, 1941, because his intelligence reports showed clearly that Josef Stalin was amassing an incredibly massive force of some 5 MILLION+ combat troops along the German/Russian border to launch his own evil campaign against Germany code named: "Operation Thunder" that was to be launched as soon as July 5th, 1941. 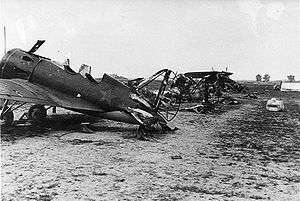 What Hitler basically did was allow the Russians to build up their offensive forces and wait until the last possible moment to launch his campaign against Russia. 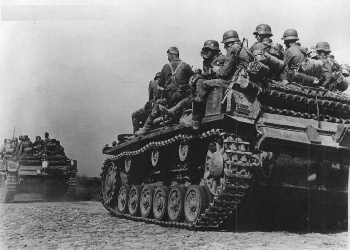 In doing so, Hitler's forces were able to smash the entire Red Army, and capture some 3 million OFFENSIVE forces in the first weeks of the Barbarossa campaign! True history should show this as a very remarkable achievement, but of course our history is written by criminals and the so called "victors" in any war. For all my naysayers, and those who question this writing....I personally look upon Adolf Hitler as no saint. But what he did by stopping the Russians from possibly conquering Europe early in World War II may eventually come down in future and factual history as one of his greatest victories for all of the European nations. Another piece of real history coming to light... As more historical facts do come forward, I will be presenting them here for everyone to see and judge for themselves... Stay tuned..
OK... Picture a nation that arrests and detains its own citizens without any trial or any provocation. And upon the arrest of said persons, they are locked away, without any charges, without any outside contact, and are absolutely not allowed to contact anybody for proper legal representation. If you say that only happens in countries such as Russia, China, or even Iran... You are wrong! As of today, the US Senate will vote on new legislation that will allow the US government, via its military, to take anyone they want and throw them in jail without any charges at all! Remember that debate between Ron Paul and Newt Gingrich, where Mr. Gingrich suggested we should expand and strengthen the Patriot Act in the name of protecting US citizens from terrorists? Mr. Gingrich indicated that there exists a line between criminal law and the war on terror, and that we need not worry the government will overstep its bounds. While Americans enjoy the Thanksgiving weekend and join the annual running of the bulls celebration at malls and retail outlets, something sinister is taking place in Congress – and it should scare the hell out of you. If the President and Senate have their way, your front lawn will soon become a battlefield, and you’ll be subjected to military, not criminal, law. The Senate is going to vote on whether Congress will give this president—and every future president — the power to order the military to pick up and imprison without charge or trial civilians anywhere in the world. Even Rep. Ron Paul (R-Texas) raised his concerns about the NDAA detention provisions during last night’s Republican debate. The power is so broad that even U.S. citizens could be swept up by the military and the military could be used far from any battlefield, even within the United States itself. 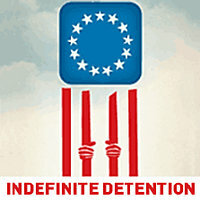 The worldwide indefinite detention without charge or trial provision is in S. 1867, the National Defense Authorization Act bill, which will be on the Senate floor on Monday. The bill was drafted in secret by Sens. Carl Levin (D-Mich.) and John McCain (R-Ariz.) and passed in a closed-door committee meeting, without even a single hearing. I know it sounds incredible. New powers to use the military worldwide, even within the United States? Hasn’t anyone told the Senate that Osama bin Laden is dead, that the president is pulling all of the combat troops out of Iraq and trying to figure out how to get combat troops out of Afghanistan too? And American citizens and people picked up on American or Canadian or British streets being sent to military prisons indefinitely without even being charged with a crime. Really? Does anyone think this is a good idea? And why now? Once signed into law the President (or anyone of his minions within the Justice Department or Homeland Security acting on his behalf) can issue orders to arrest, detain and imprison an American citizen in the United States without due process. Since most terror arrests fall into the realm of national security, and therefore are secret, no evidence would ever need to be presented for the permanent detainment (and who knows what else) of an American imprisoned under this law. While nearly all Americans head to family and friends to celebrate Thanksgiving, the Senate is gearing up for a vote on Monday or Tuesday that goes to the very heart of who we are as Americans. The Senate will be voting on a bill that will direct American military resources not at an enemy shooting at our military in a war zone, but at American citizens and other civilians far from any battlefield — even people in the United States itself. Even Rep. Ron Paul (R-Texas) raised his concerns about the NDAA detention provisions during last night’s Republican debate. The answer on why now is nothing more than election season politics. The White House, the Secretary of Defense, and the Attorney General have all said that the indefinite detention provisions in the National Defense Authorization Act are harmful and counterproductive. The White House has even threatened a veto. But Senate politics has propelled this bad legislation to the Senate floor. The solution is the Udall Amendment; a way for the Senate to say no to indefinite detention without charge or trial anywhere in the world where any president decides to use the military. Instead of simply going along with a bill that was drafted in secret and is being jammed through the Senate, the Udall Amendment deletes the provisions and sets up an orderly review of detention power. It tries to take the politics out and put American values back in. NTS Notes: This is possibly the most sinister piece of legislation to be placed in front of the criminals occupying the US Senate in quite some time. And the most sinister thing about it is that quite possibly almost none of the citizens in the United States are even aware that it is being voted on right now! It is so sad to see the end of the United States of America as a nation take place right before our eyes... What is especially maddening is that the sheep that some call American citizens are doing absolutely nothing to stop it! College As Stepping Stone To Jobs MYTH!